Orchestral reinterpretation of popular music can be a tricky thing. Take a wrong step, and you end up with kitsch - but focus on the compelling intersection of the original music and reinterpretation, and you'll end up with The Heritage Orchestra. Since 2004 the Heritage Orchestra have managed to take apart classics from Joy Division, Giorgio Moroder and Goldie to create something far more compelling than a traditional homage. Combining electronic and rock instrumentation with full size orchestras, the collective have garnered a reputation for simultaneously reinvigorating the classical format and taking much loved music into new sonic territory. 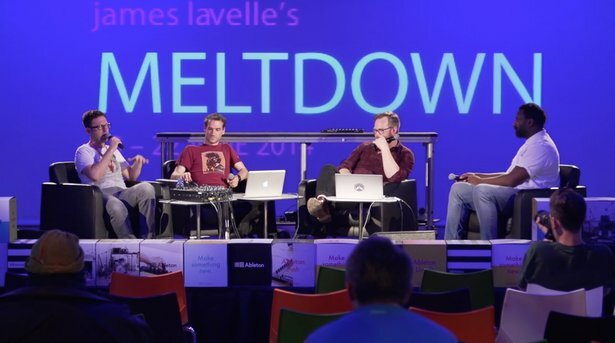 In the final video from this year’s Meltdown Sessions, (curated by Mo’Wax label head James Lavelle), three key players from the Orchestra speak to CDR’s Tony Nwachukwu and run through the touchy and laborious process of re contextualising much loved music.